I have a great regret. I am a bit of a space nerd and a big fan of the NASA Space Shuttle program. And I have always wanted to see a Shuttle launch. With the Shuttle program coming to a close early this morning, my opportunity has passed. 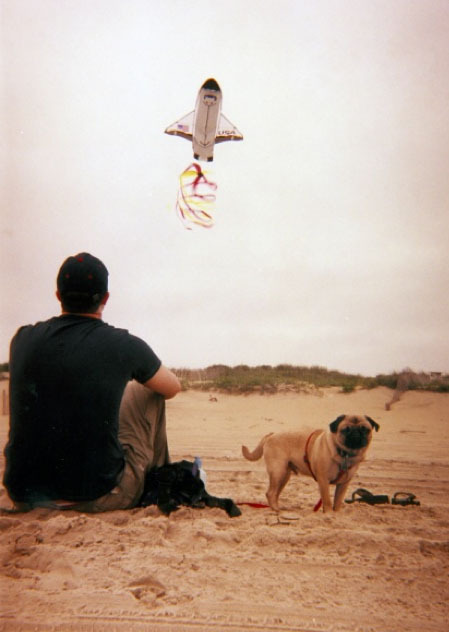 Catching a Shuttle launch seemed complicated. They could cancel a launch even 2 seconds from blastoff. Launches could be delayed and postponed for days. Not conducive to booking travel. I put it off. Now it is over and I regret not making the trek at least once. On top of being bummed that the Shuttle program is over, I have the remorse of never seeing a launch. Ditto. I need to erase Space Shuttle launch from my lifelist. Maybe there will be something else space related that we can replace it with. I'm so sorry you missed it. It was amazing to see and yes, they frequently cancelled them at the very very very last minute. I felt luck to see both a night and a day launch. There's nothing like it. And at night, the sky lit up like it was daytime. 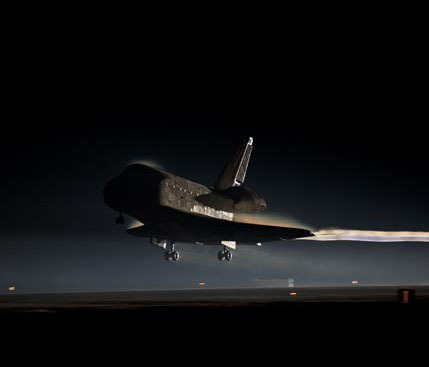 Farewell Space Shuttle program, you will be missed. Me, too. My sister even works there and has done it tons of times (most recently has photos of her preg belly w/ shuttle in the background) and we just never made it there. When my son did a Flat Stanley last year she took "Stanley" in and took all kinds of pics of him in the shuttle etc. "Stanley" even got his own visitor pass! My son thought it was a blast! 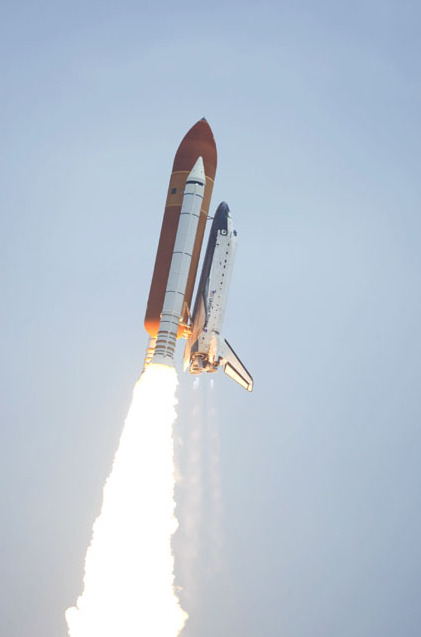 As someone who works for NASA and its Space Shuttle (and ISS) Program, it gives me joy to hear you and your readers comment about seeing and wanting to have seen the Shuttle in action. It gives me hope that there is still active support for human spaceflight out there. Thank you for your support, continue to be involved, and keep spreading the word! Love the kite. I know what you mean, I was obsessed with the movie Space Camp when I was growing up. You never know what might come next! Or, maybe take a trip to a Russian launch!